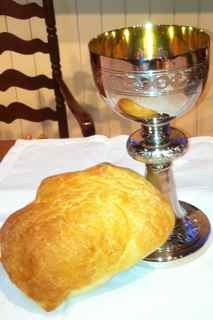 The ministry of Altar Guild dates back to the ancient celebration of the Eucharist. Wherever two or three were present to celebrate and receive the Bread and Wine, there was always some dutiful Christian or two behind the scenes preparing the Altar before and after worship. At Saint Paul’s on the Hill, Mary Ellen Krueger, Estelle Pitta, and Linda Tite are our behind-the-scenes workers. Diane O’Hara is the head of the Altar Guild and also donates her time and talent to arranging the Altar flowers. Jim Quinlan, Diane O’Hara and our newest baker Hannah Wilkes share the ministry of baking the bread used for the Eucharist.